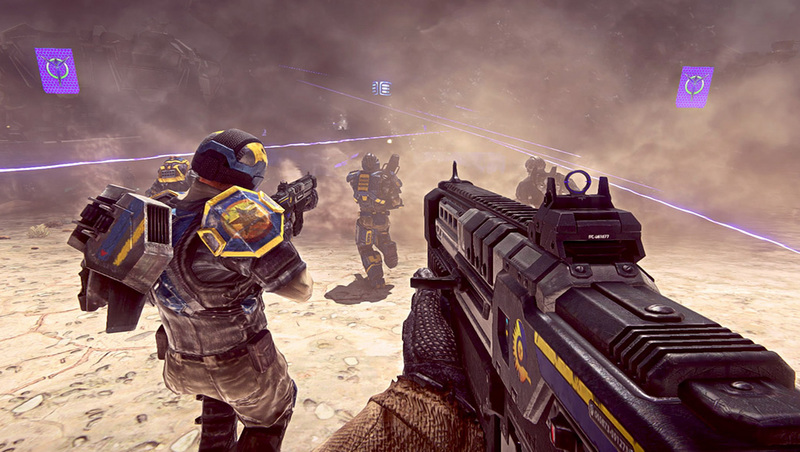 SOE has been promising major Planetside 2 performance updates for a long, long time now and I am happy to announce today the developer has made good on those promises. While only part one of their ongoing “Operation: Make Faster Game” project, SOE’s first performance patch released today marks a HUGE increase in playability across the board. Just how large are these increases? Let’s put them into perspective, shall we? If you couldn’t play above 20 FPS before, chances are you can now play at a steady 40-60 FPS in even the most intense firefights. Did I mention that 40 FPS is on high settings? Even players who were previously averaging 40-50 FPS are now seeing their FPS double. Mind you these performance increases are coming without noticeable decreases to the games graphical fidelity. *Numerous optimizations have been done to remote character processing to reduce the cost of per-player processing. *We found that players getting in and out of vehicles was causing some performance issues. This has been addressed and is working as expected, now. And that’s just the general performance fixes! Other improvements include animation updates, plugging memory leaks, UI optimizations and more. General, non performance quality of life improvements and bug fixes have also been made, but overall there is too much to list here. For the full patch notes, you’ll want to check out the official patch announcement here. Have you had a chance to try out the new update? How has your performance been affected? If your getting under 30fps in this game and you have a gfx card say amd 6 or up then you should check your cpu.I have an older pc with a amd 6670hd card ,thats a 3year old card(got for 60bucks back then) i can play on max settings.On a duel core pc..just sayin,But to play arma 3 i play on my other pc a 6core amd with a 7ser gfx card. Is this an online game 😀 ? After this update I decided to try out this game again and I am getting considerably more FPS. On High Settings I went from around 80-90 FPS to 100-178 FPS, with smoothing on I get a constant 60 FPS. Fix the aimbotting, enough said. I have an ASUS laptop i3 ATI mobility Radeon HD5470 1gb, with 8gigs total on the rig. I Could not run the game well at all (mass lag on the lowest settings). After the update It runs decent, I have things turned low, but at least not super blurry like it was. It actually plays like it should. I understand I am underspecced and a nicer rig would make this game shine. My biggest problem: You can unload all the ammo as a F2P, but all cashers are basically invincible. Populations are low, so you basically have a heated battle in one side as the other side just caps it all. It is situational combat game; not strategical. So the situation wins. not “I use this as cover and this hill has an advantage”. No, those battle physics are out the window and “I have a bazooka, you have a rifle, I win” is in. All situational, depends who has what, when and where. To bad, because skiled strategic players are left in Battlefield using commanders and field depthness to the advantages , while the twitch kids are foot troop foddder used to advance the battle in an over all team success (BF 2 and Bad Co 1)…. Would a GT720M, i5 3230M, 3GB RAM run this at an acceptable framerate? Most likely around low to medium settings with all that. Wouldn’t be sure about the framerate now till u try. Gotta learn the spawn locations in the map and where the activity is bro. so will it run on lower computers too? mines about in the middle when it comes to specs..
Then you should probably try, chances are that it will be playable. To be honest, this patch made HIGH setting players run ULTRA, but LOW setting wont be much better. Some of my friends still couldnt get any increase on LOW. Not even 10 fps. Most high setting players have good pc’s haha. Sweet! Maybe I’ll give it another try. But did they fix server de sync issue? Played a bit this morning. Fighting was smooth and I didn’t notice any lagging between my shots and damage.